Mashable is reporting that “Skylanders Academy” is to be Activision Blizzard Studios first TV series. Skylanders Academy is one of the first projects for Activision Blizzard Studios, the video game mega-publisher’s newly launched film/TV arms. There’s no premiere date to share just yet, nor are there details on the story or delivery mechanisms. We don’t know if this is going to be a standard network series, a Netflix/Hulu/Amazon play or something else entirely. But it’s being driven by an impressive set of talents. The fictional location called “Skylanders Academy” debuted in the series’ 2014 game release, Skylanders: Trap Team. 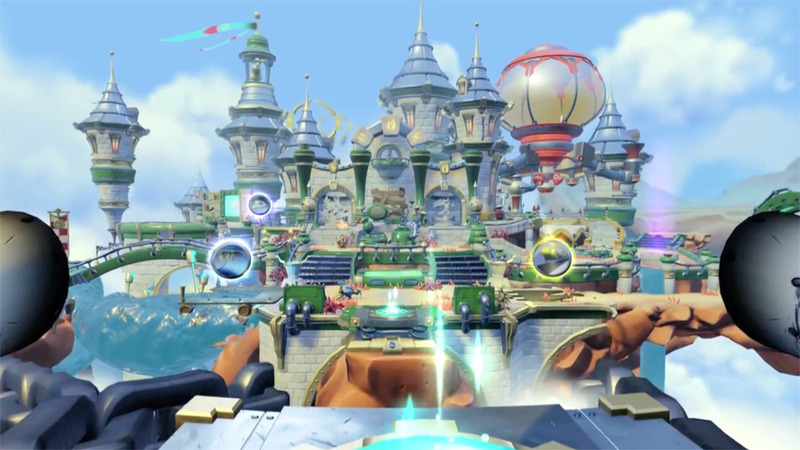 It served as a hub location where players could retire between levels, and in the series’ fiction it’s where Sidekicks go to train before they can become full-fledged Skylanders, protectors of the Skylands. The showrunner seat is filled by Eric Rogers, who wrote for Futurama during both eras of its existence. Surrounding him is a cast that includes Justin Long (How to Train Your Dragon) as Spyro, Ashley Tisdale (Phineas and Ferb) as Stealth Elf, Jonathan Banks (Breaking Bad) as Eruptor and Norm Macdonald (Saturday Night Live) as Glumshanks, plus Harland Williams and Richard Horvitz in unspecified roles. You can probably expect your first look at Skylanders Academy in early 2016, with Activision Blizzard targeting a mid-year premiere. Tagged 3D Animation, 3D Animator, Activision, Animation, Animation Director, Animator, Blizzard, Futurama.